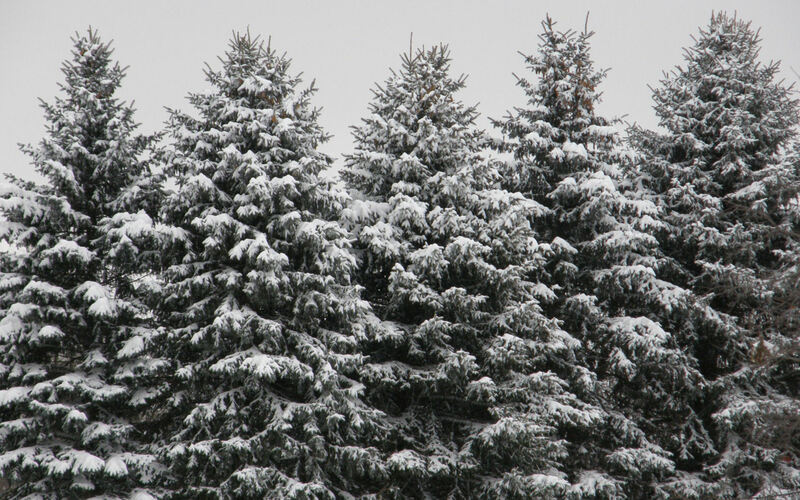 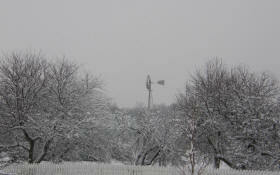 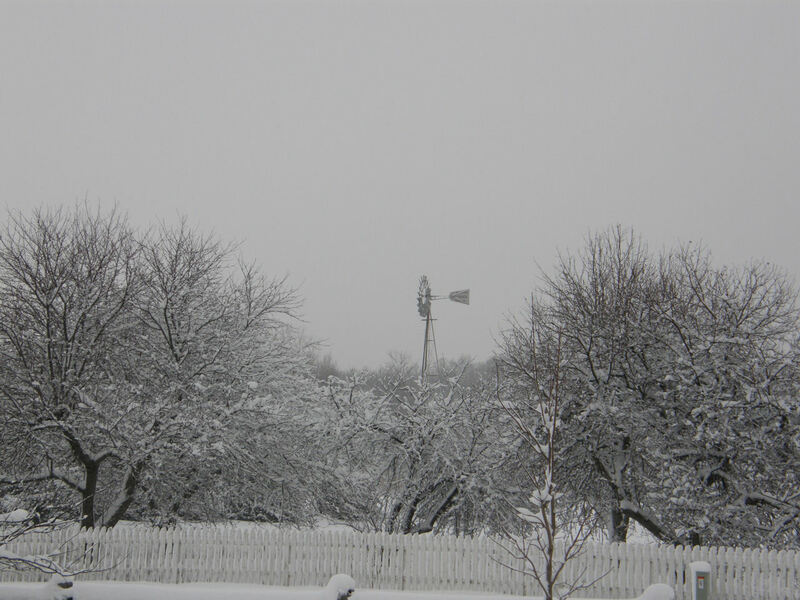 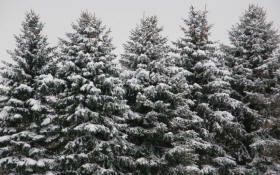 A view of some pine trees after our big snowfall - according to the news, we had the most snow in the area at 9 1/2". 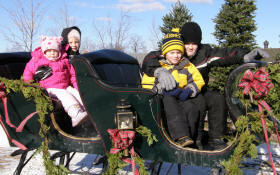 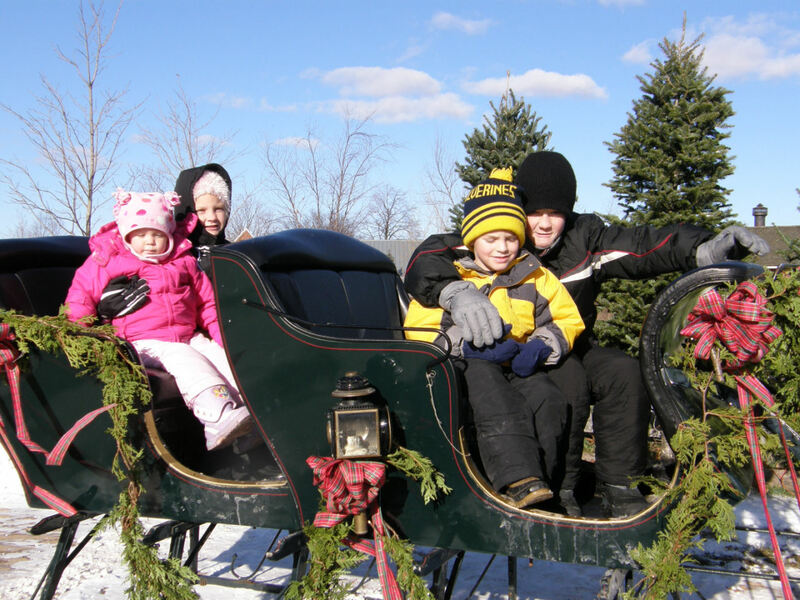 Jayden, Samantha, Drew, and Tyler in a sleigh at Greenfield Village. Tyler, Drew, Jayden, and Samantha in front of the covered bridge at Greenfield Village. 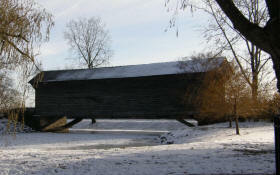 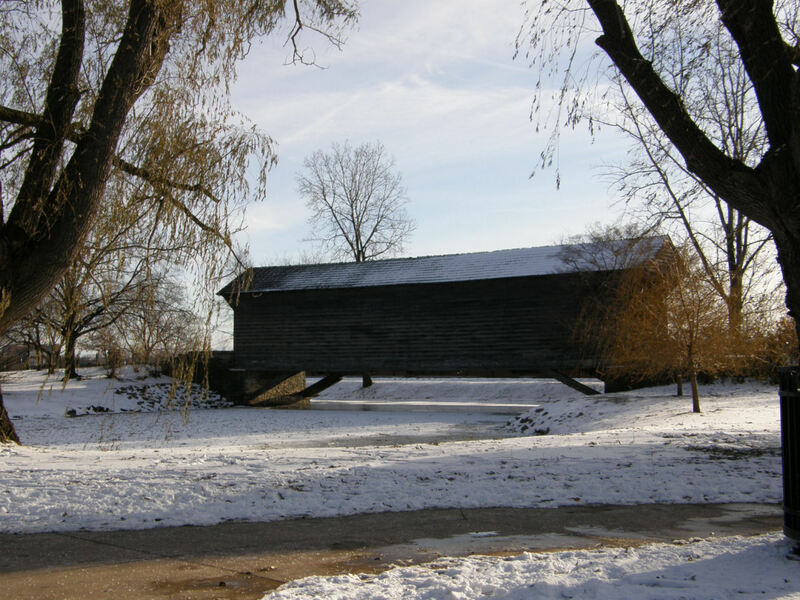 The covered bridge at Greenfield Village in the wintertime. 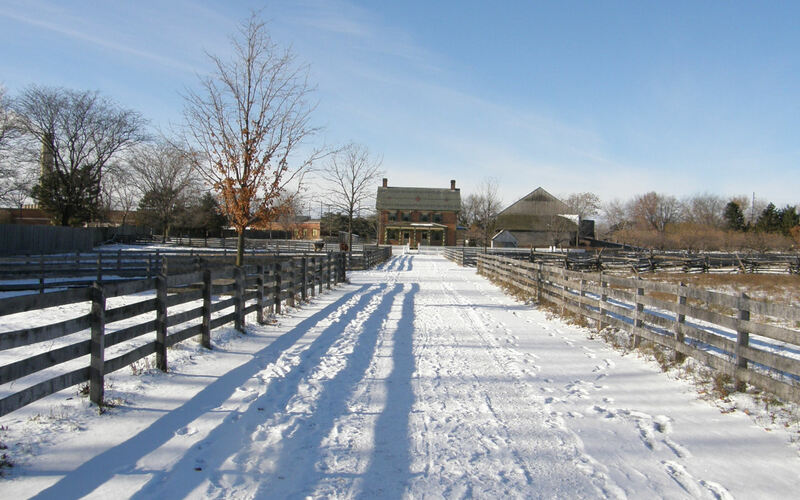 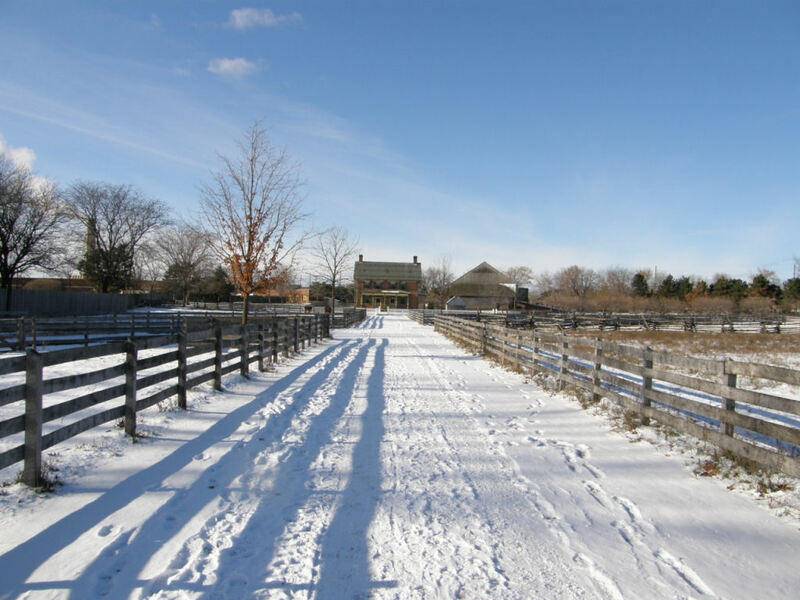 The Firestone Farm at Greenfield Village decorated for Christmas as would have been a long time ago. 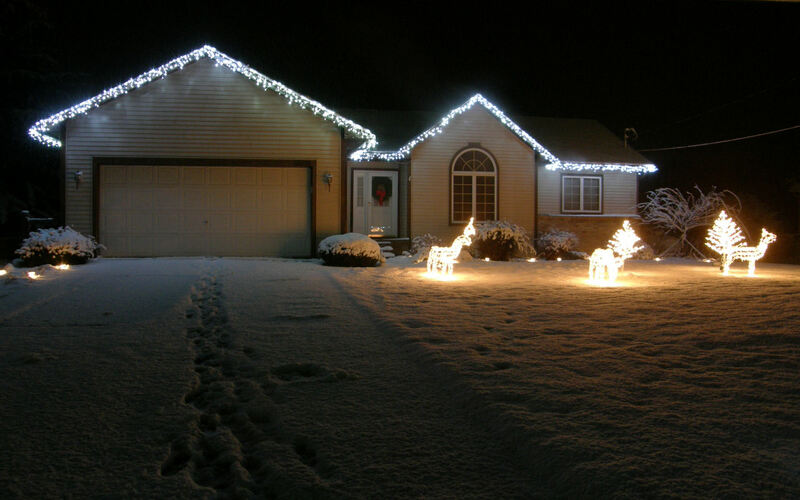 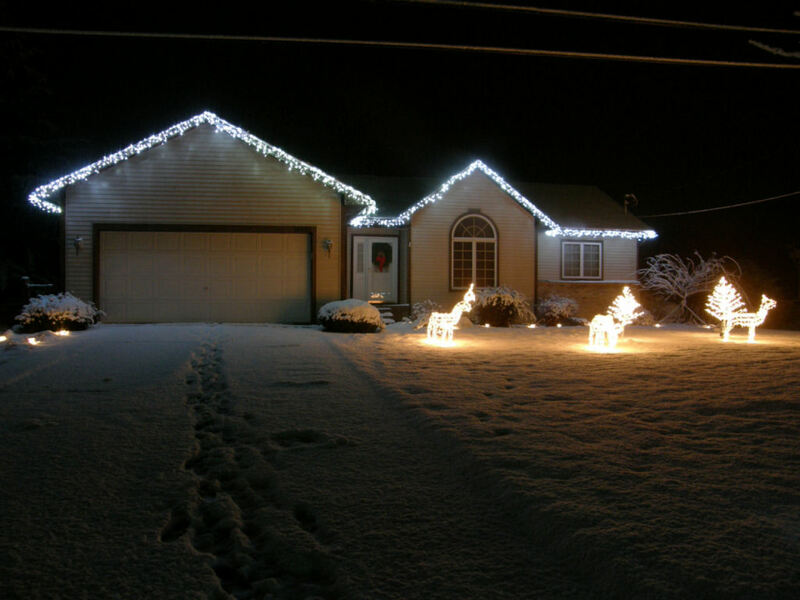 Our humble homestead decorated for the Christmas holidays with our new LED lights (no, they are not blue lights as everyone seems to assume). 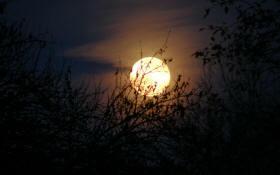 Another moon photograph, this one through the trees. 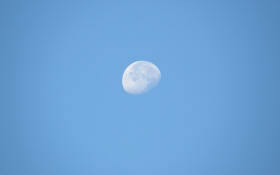 The moon high in the sky early in the morning (around 9:15am). 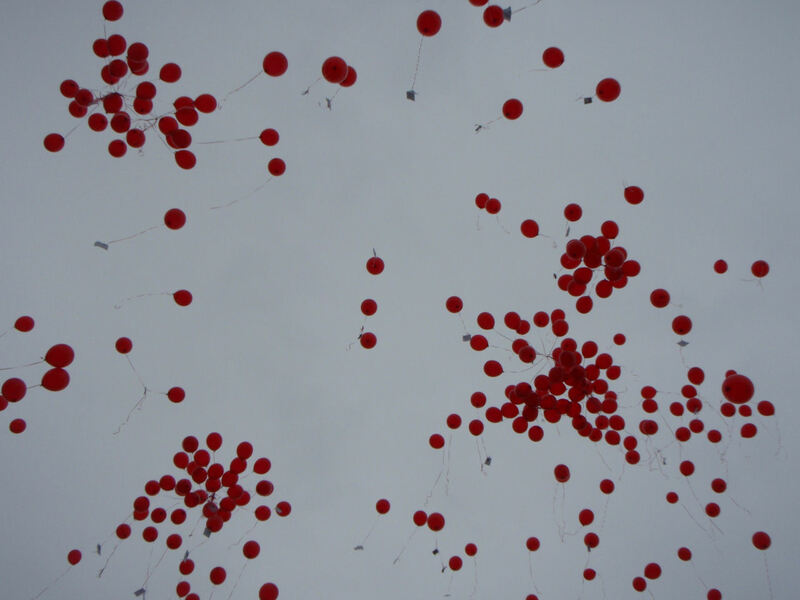 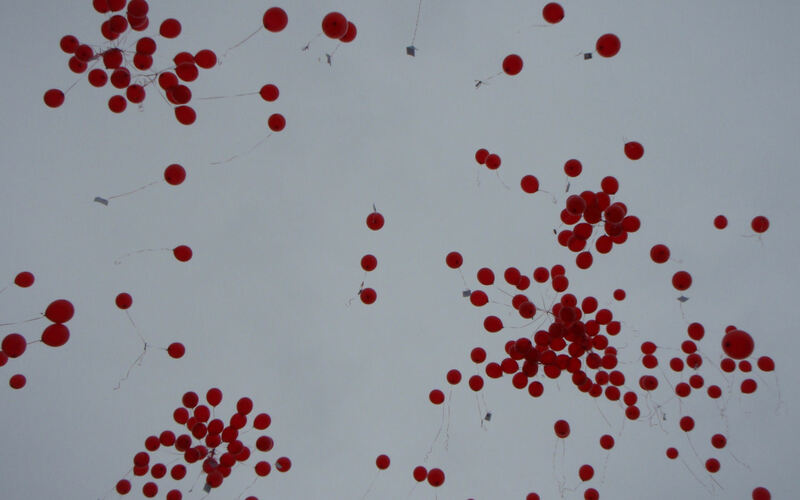 Balloons being released during the tree planting ceremony in memory of friend and former neighbor, Bryce McVety. This picture was meant to be a Fall version of the wallpaper at the bottom of this page. 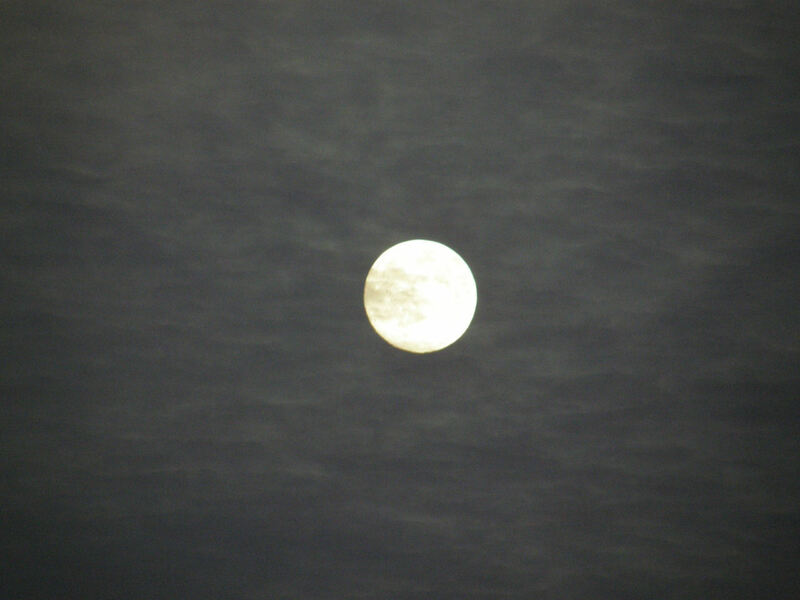 The full moon with some cloud cover on an October evening. 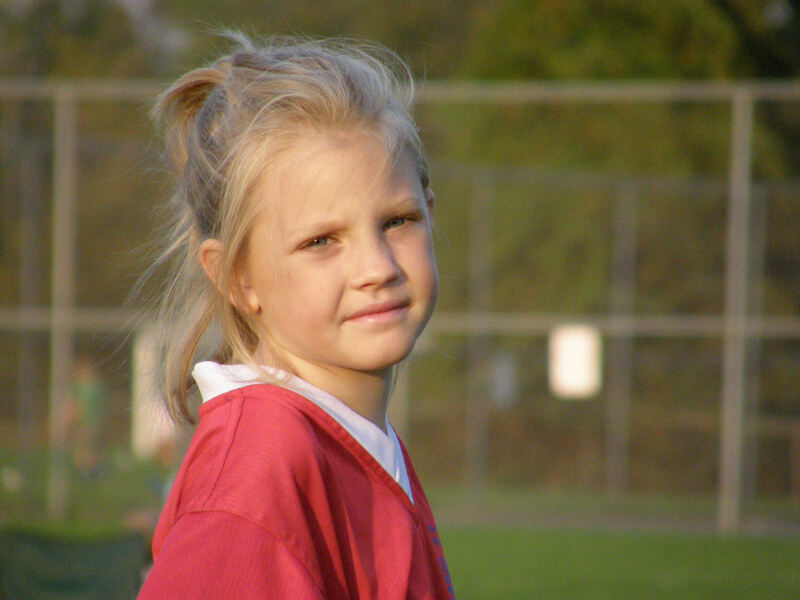 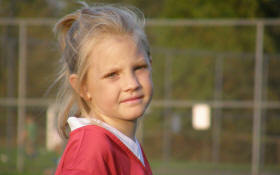 Samantha on the soccer field during a game. 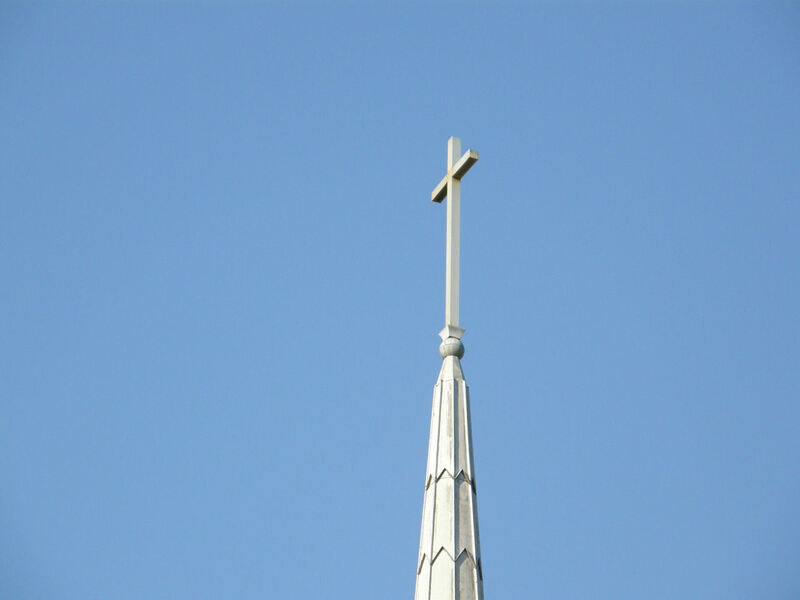 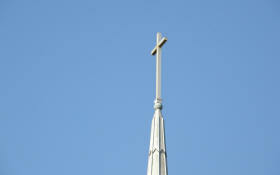 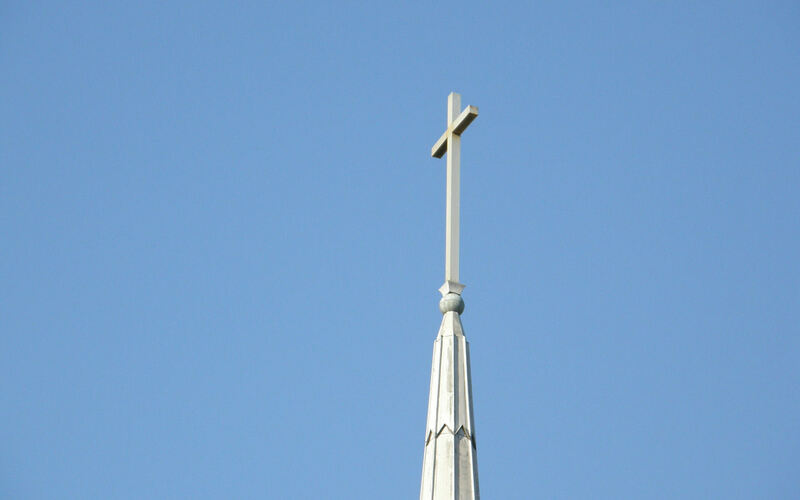 The cross on top of St. John's Catholic Church. 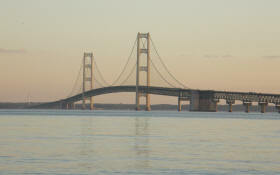 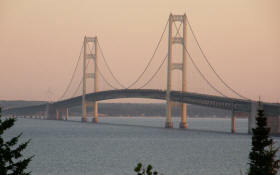 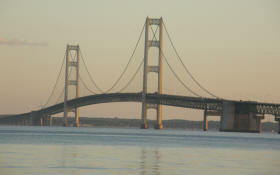 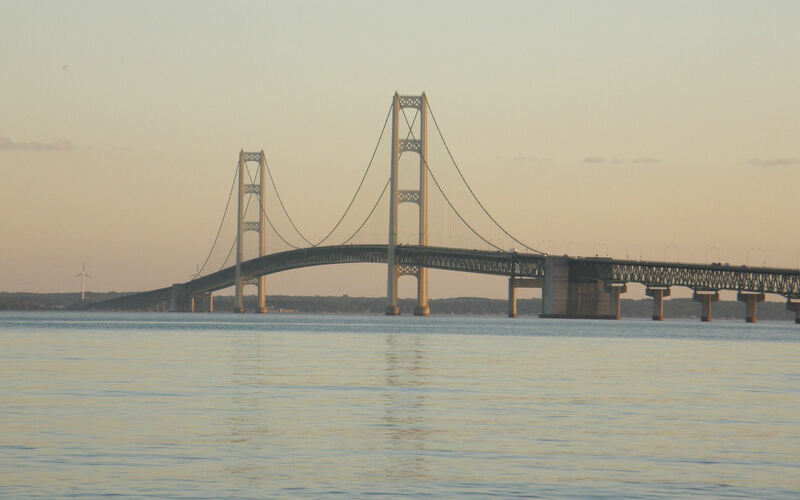 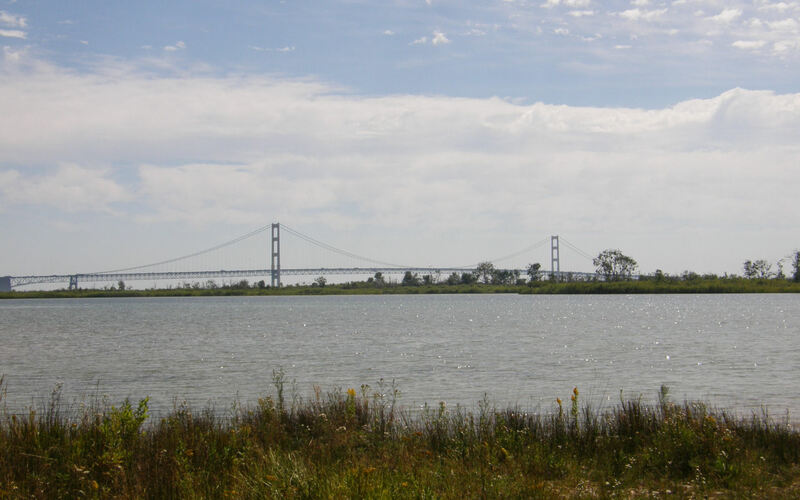 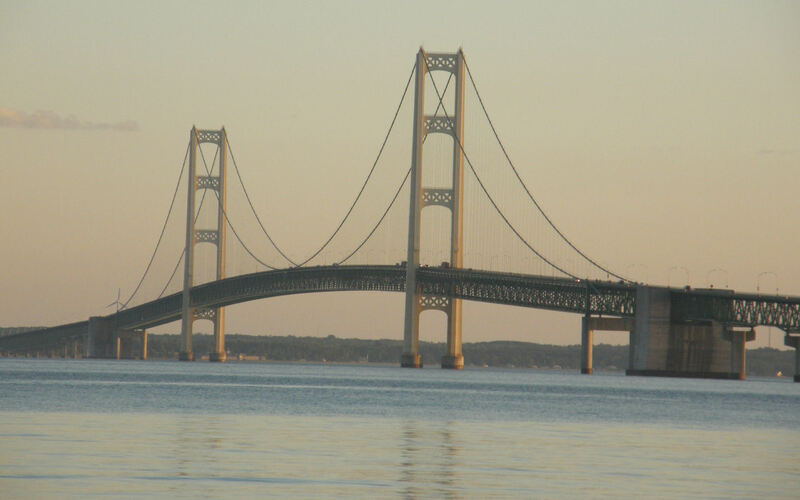 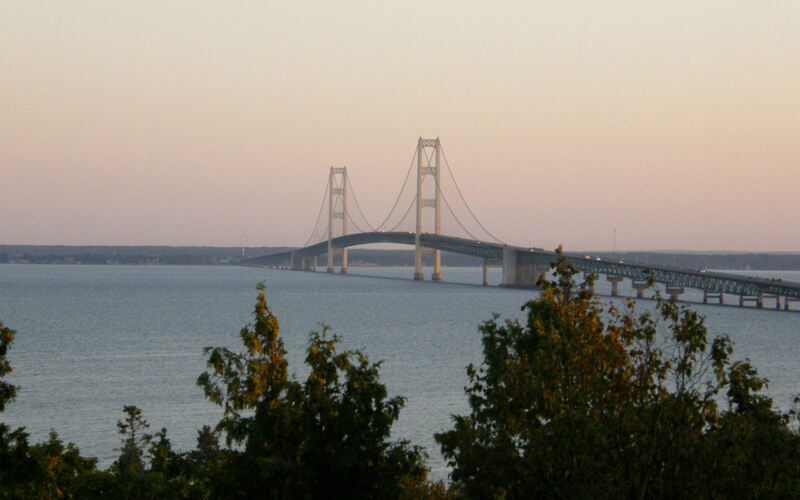 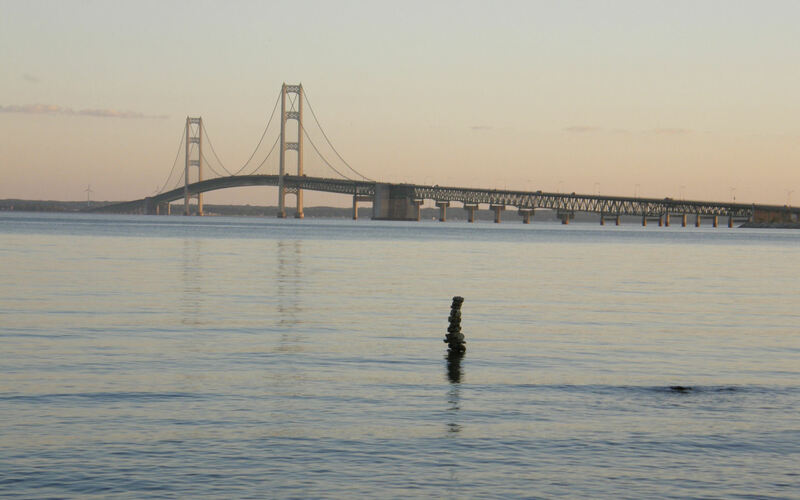 The Mackinac Bridge as viewed from the road along the shore in St. Ignace. 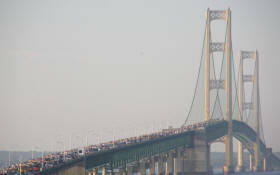 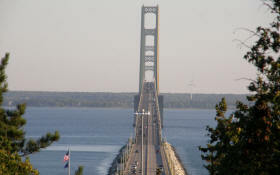 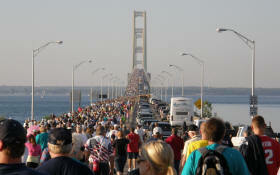 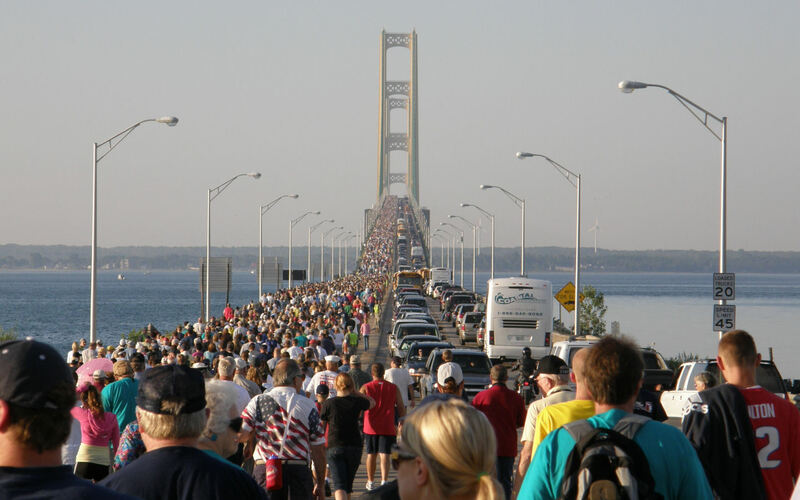 The Mackinac Bridge during the annual Labor Day Bridge Walk. 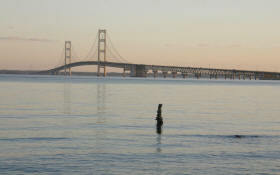 The Mackinac Bridge as seen from the shore in the Straits State Park. 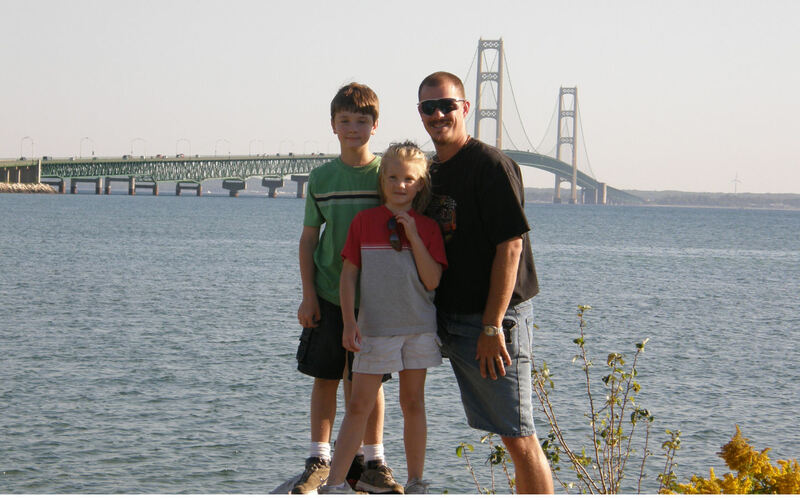 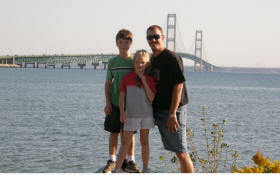 Rodney, Tyler, and Samantha in front of the Mackinac Bridge at the Bridge View Park. Rodney, Tara, Tyler, Samantha, Drew, and Jayden in front of the Mackinac Bridge at the Bridge View Park. 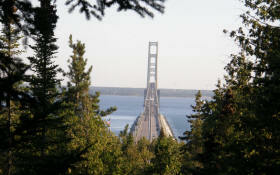 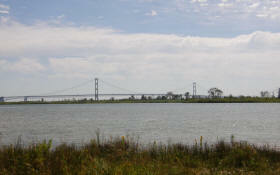 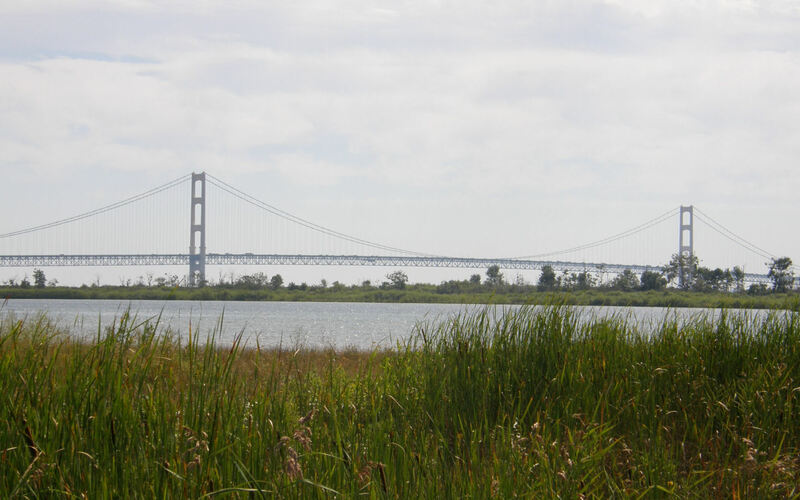 The Mackinac Bridge as seen from the Straits State Park. 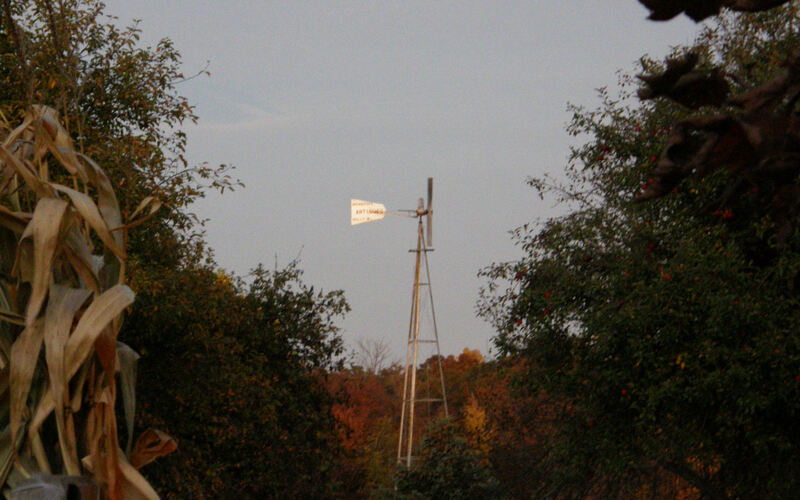 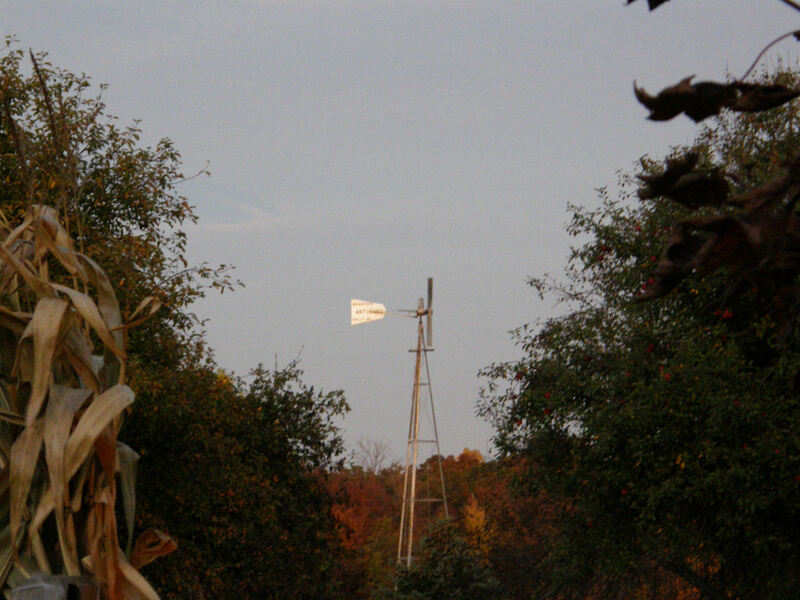 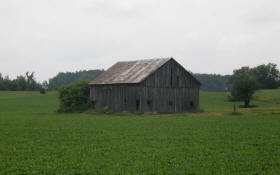 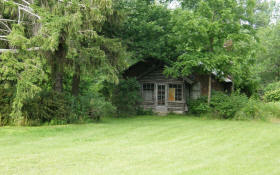 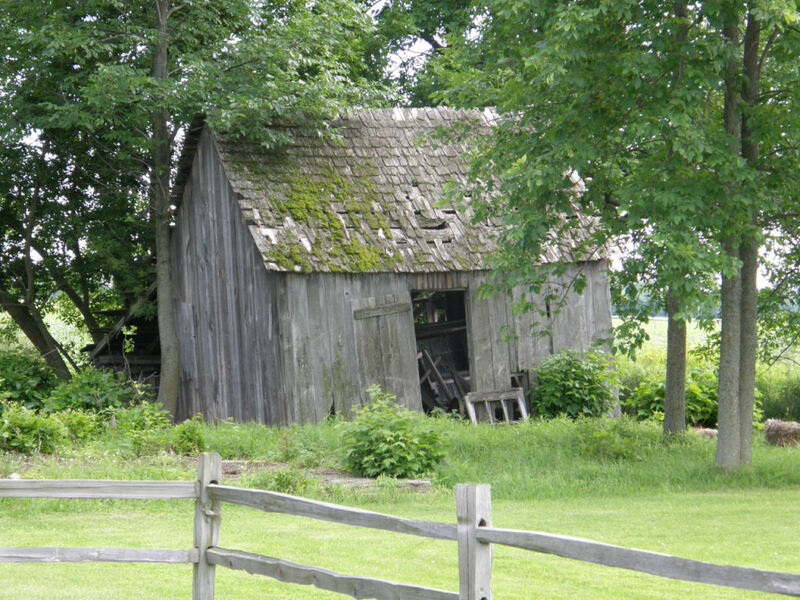 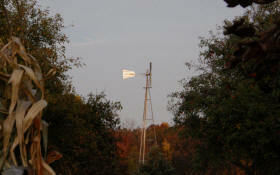 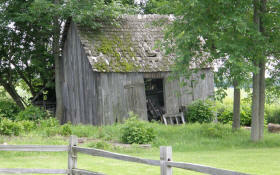 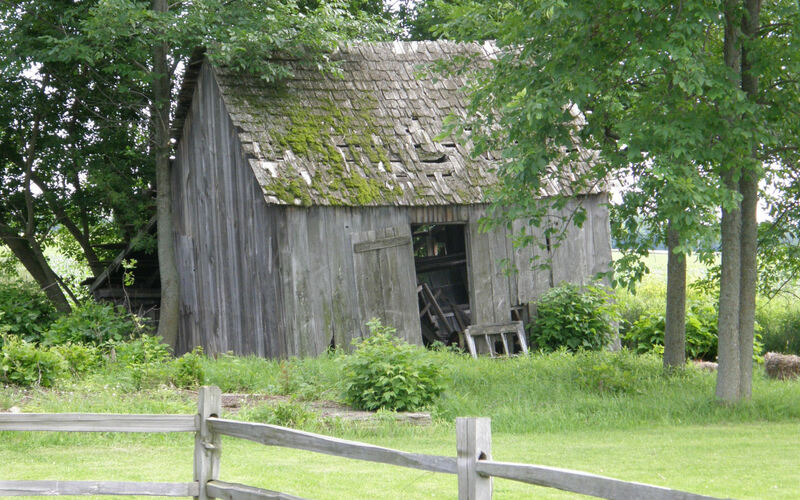 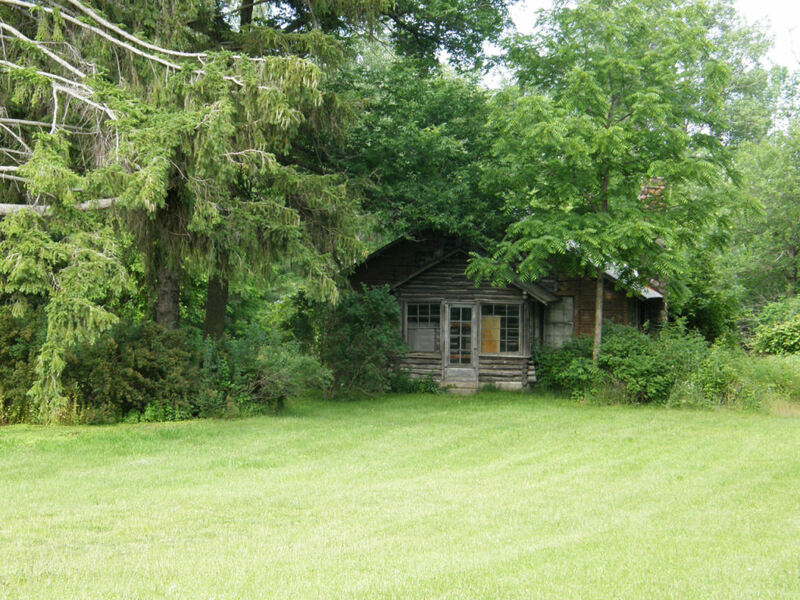 A lonely old barn standing in a field near the Sanilac Petroglyph Historic Site. 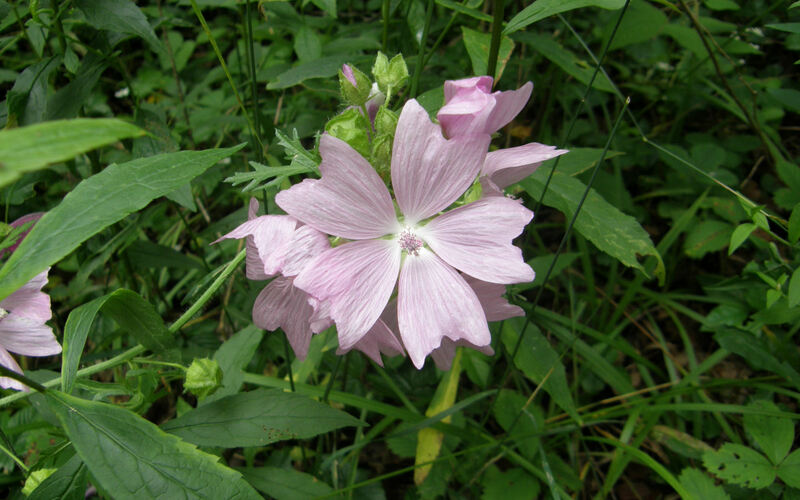 Here is a flower spotted on the walking tour at the Sanilac Petroglyph Historic Site. 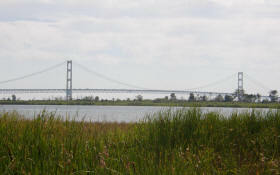 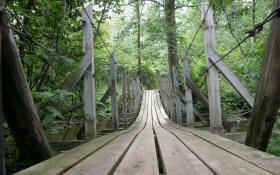 Looking back at one of the bridges crossing the Cass River on the walking tour at the Sanilac Petroglyph Historic Site. 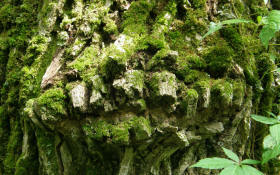 Just a strange moss-covered tree spotted on the walking tour at the Sanilac Petroglyph Historic Site. 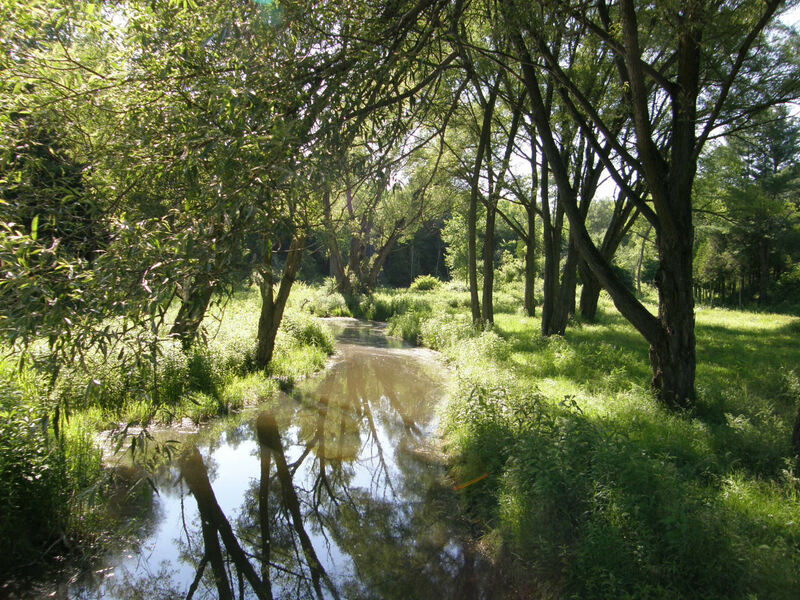 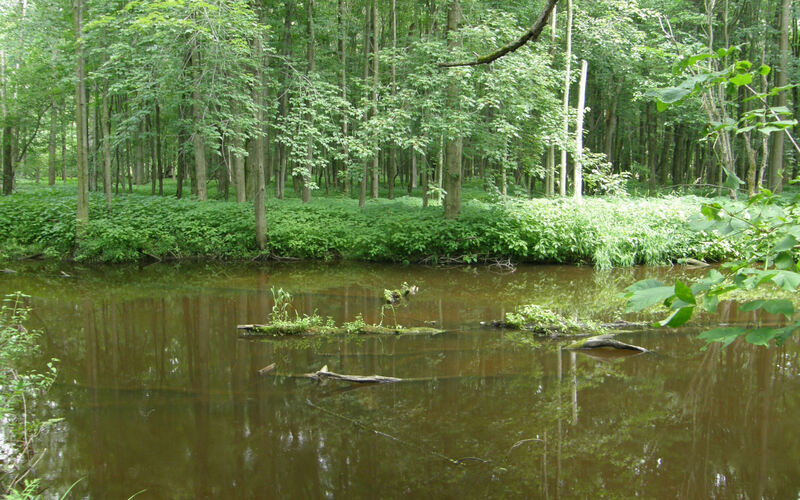 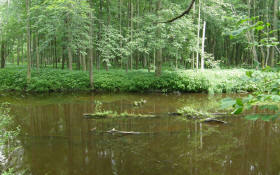 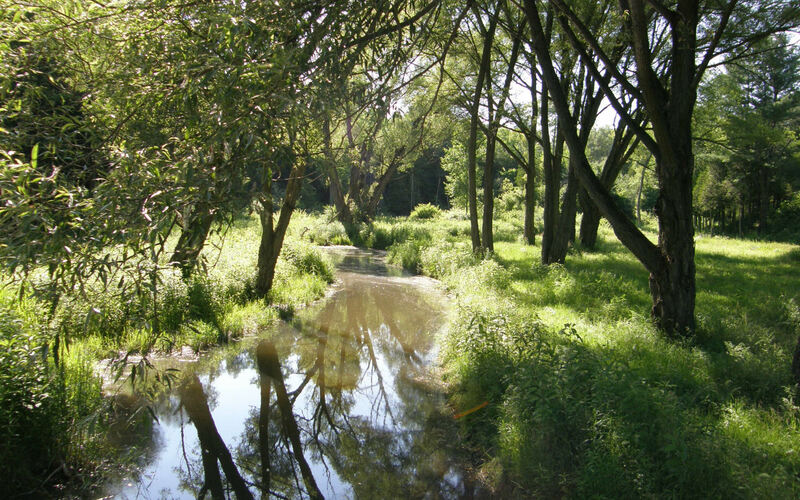 This is a view of the Cass River as seen from the walking tour at the Sanilac Petroglyph Historic Site. 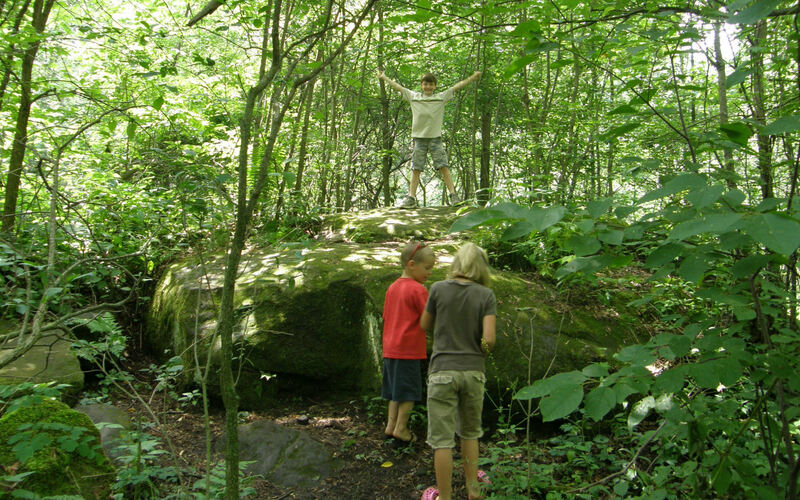 Tyler is king of the mountain on top of this rock along the walking tour at the Sanilac Petroglyph Historic Site, while Drew and Sam wait their turn. 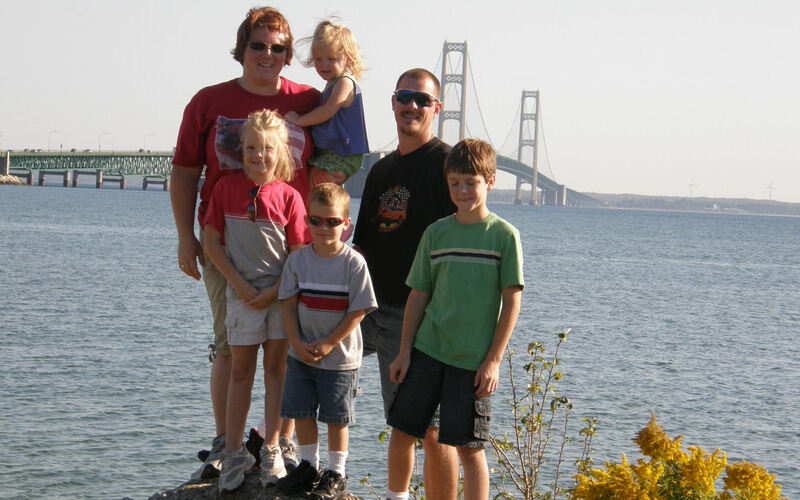 Here we are - Tyler, Jayden, Rodney, Samantha, Tara, & Drew - atop a rock along the walking tour at the Sanilac Petroglyph Historic Site. 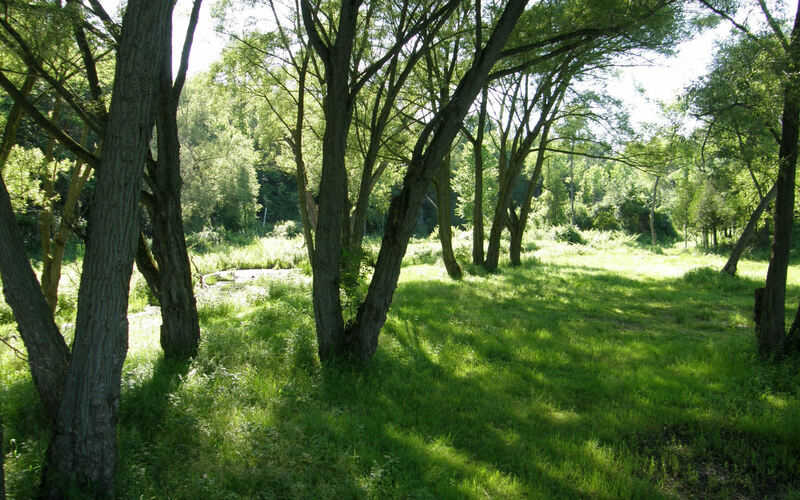 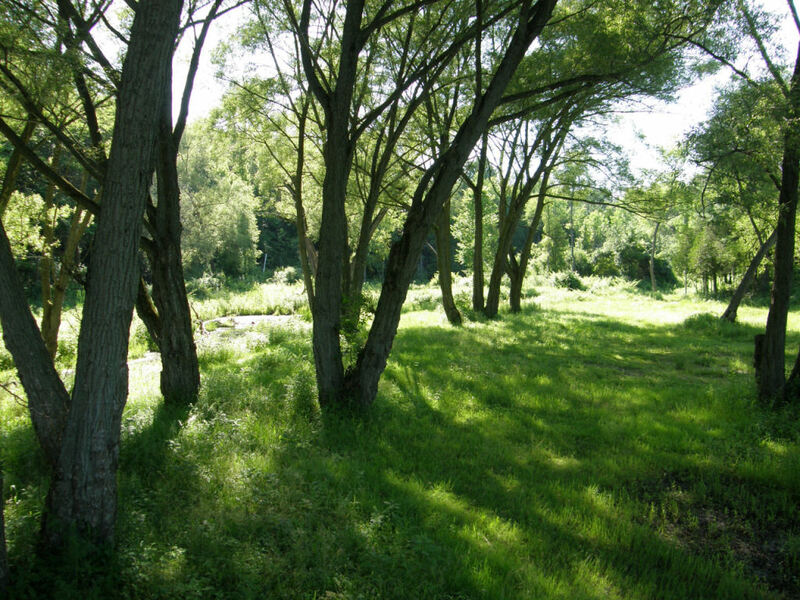 This is a view alongside the river inside the Lake Huron Campground. This is a view of the river inside of the Lake Huron Campground. 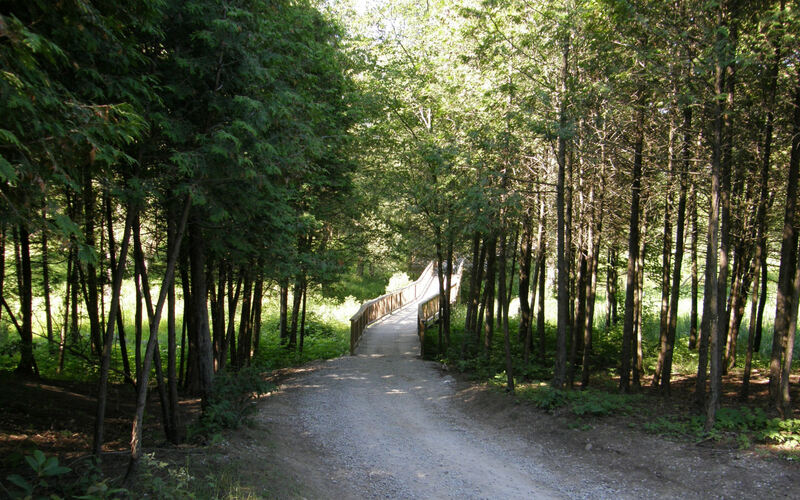 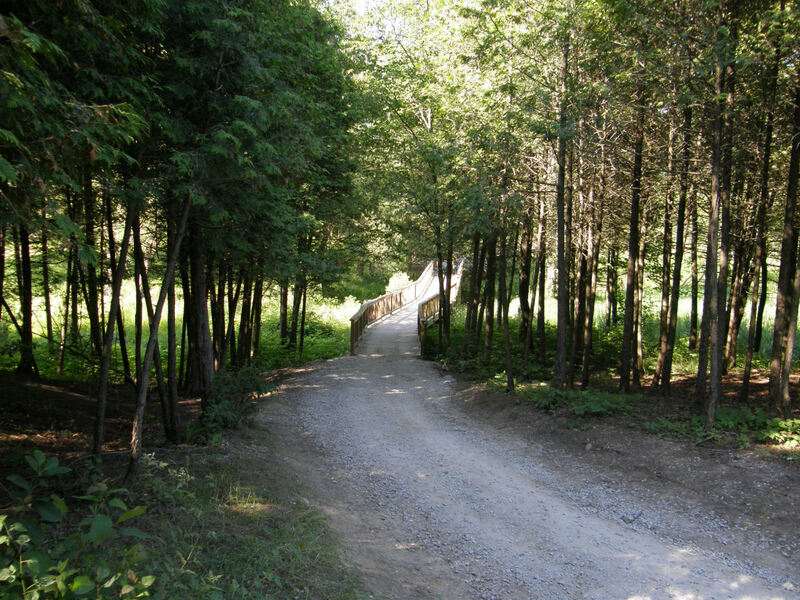 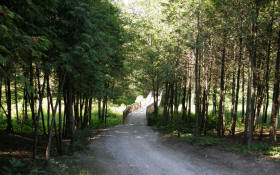 This is the view looking down one of the trails inside the Lake Huron Campground. This was an old barn/shed that was next to the parking lot of the William's Inn restaurant in Harbor Beach. 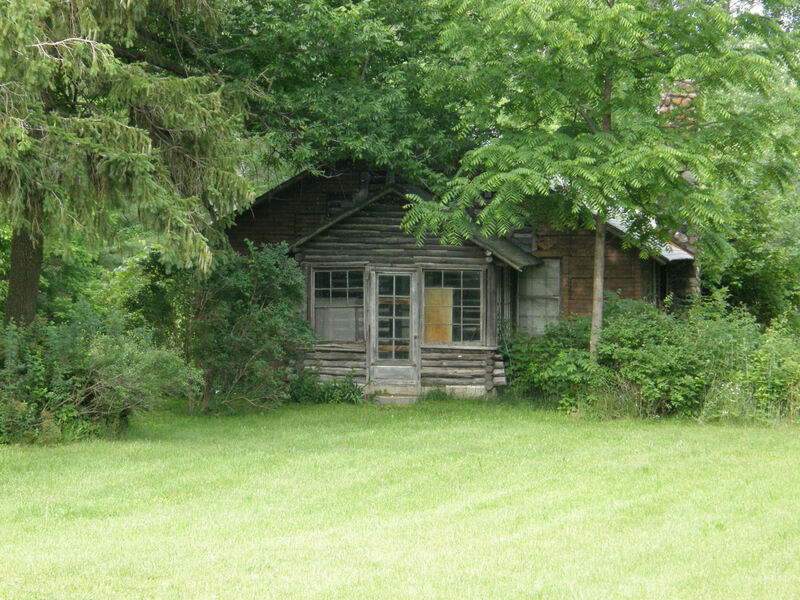 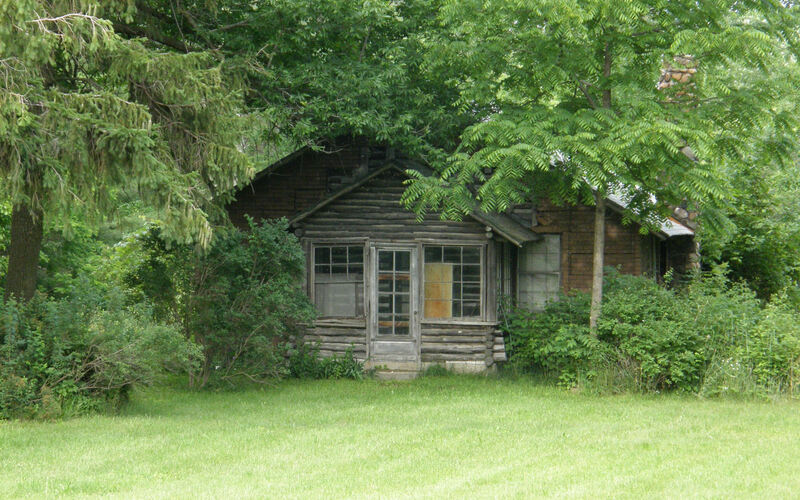 A closer view of the old house that was across the street from the William's Inn restaurant in Harbor Beach. 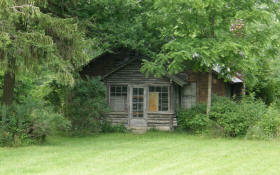 This is an old house that was for sale across the street from the William's Inn restaurant in Harbor Beach. 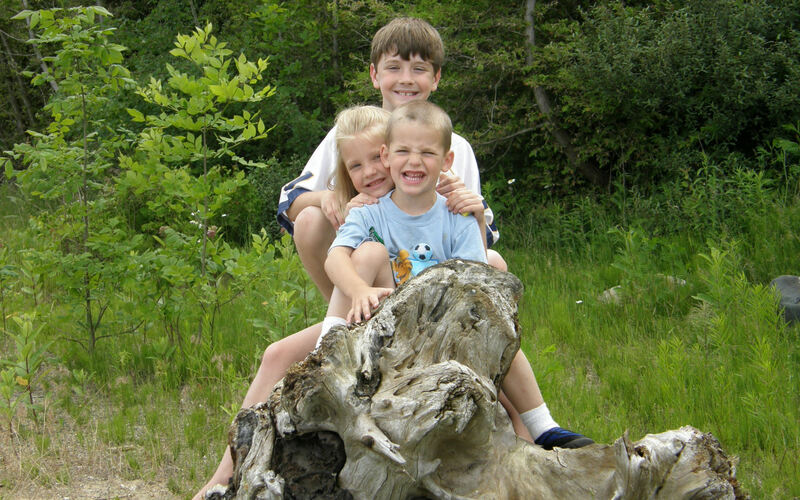 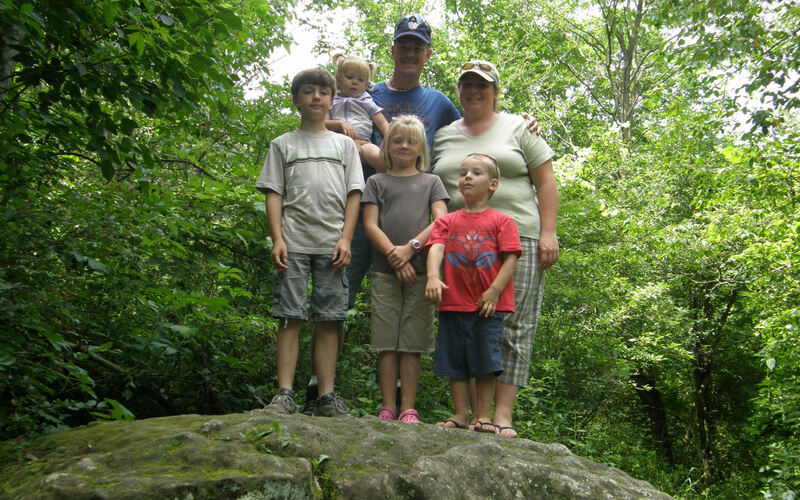 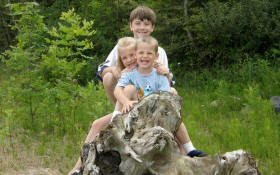 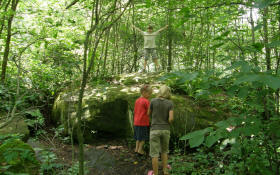 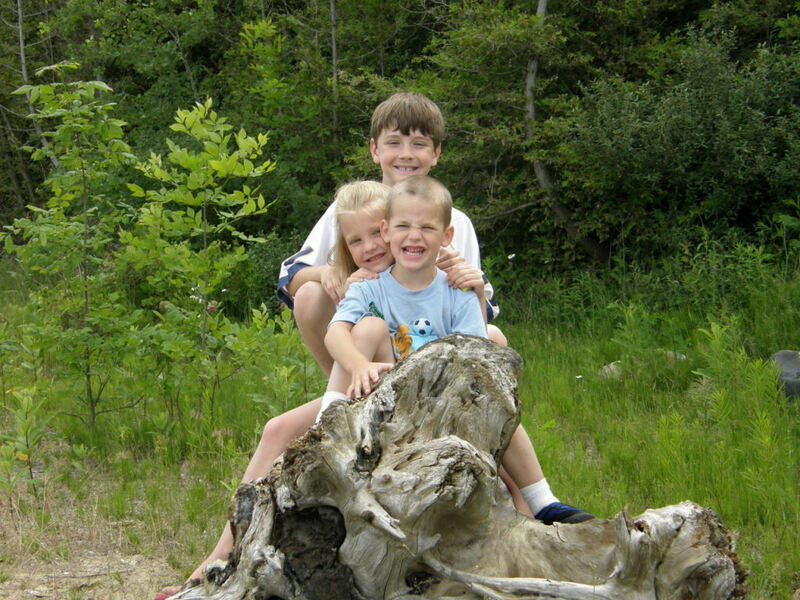 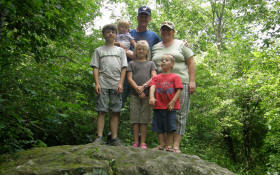 Here is Tyler, Samantha, & Drew posing on a tree stump at White Rock Roadside Park. 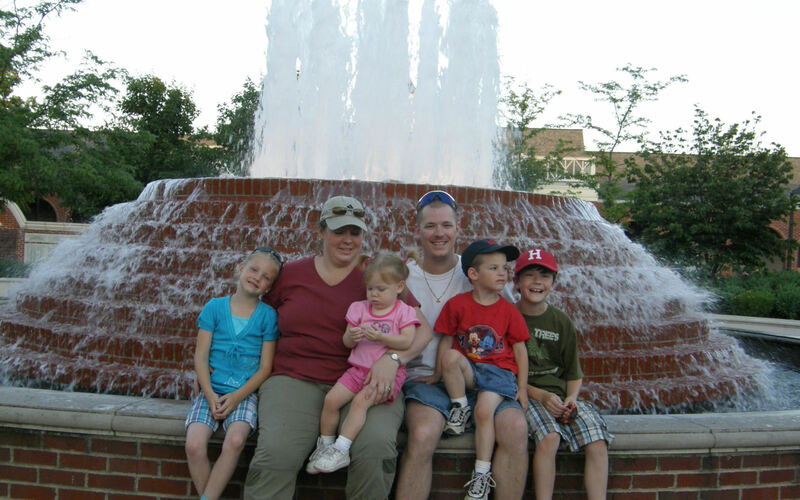 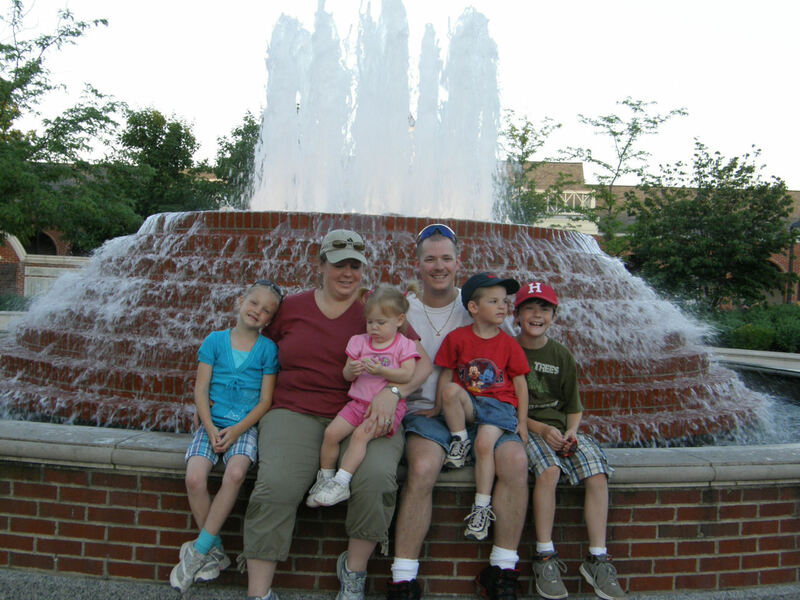 Here is our family at an outing to Greenfield Village. 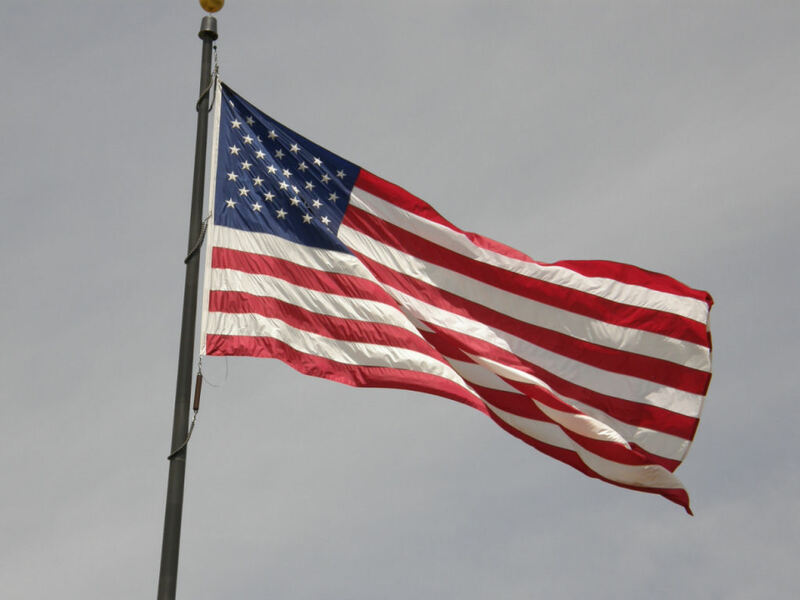 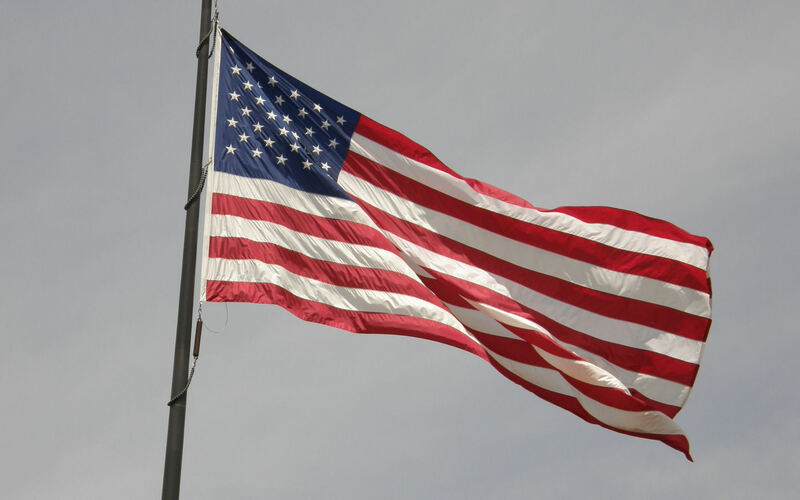 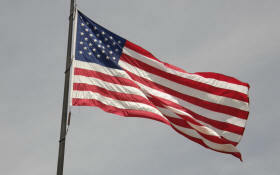 This was the flag flying over the Great Lakes National Cemetery during the Memorial Day program. This picture was taken after the big snowfall that came on New Years.